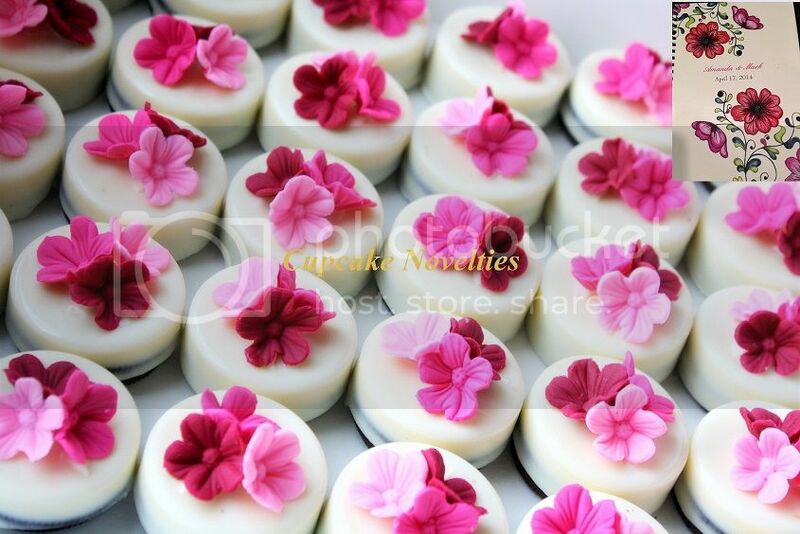 Scroll to bottom of page for details on our Macarons/Cookie Cakes and Decorated Sugar Cookies! 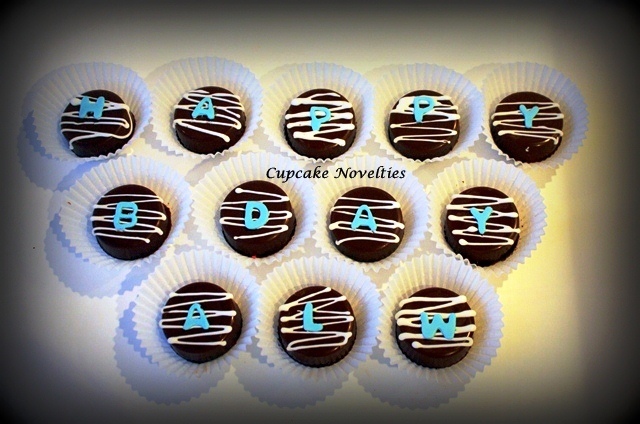 Yummy Oreos enrobed in decadent chocolate for a gourmet & popular treat! 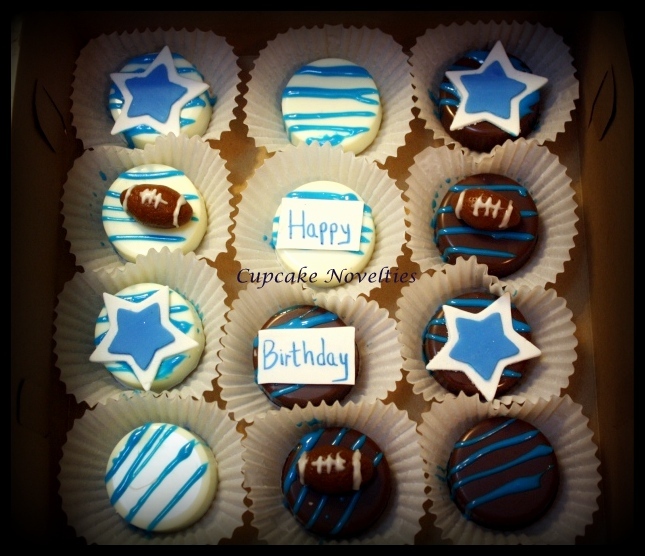 We can customize them to any theme and design, including sports themes, birthday party favors, wedding bride & groom Oreos, Christmas, Easter & more! Contact Us for customization options!! Red Lips Chocolate-covered Oreos - Buy Online Ship Anywhere! French Macarons make a great addition to Dessert Buffets & Dessert Bars for Weddings, Birthdays, Anniversaries or any celebration! Macarons are delicate French confections made with almonds and sugar, not to be confused with the American coconut "macaroon". 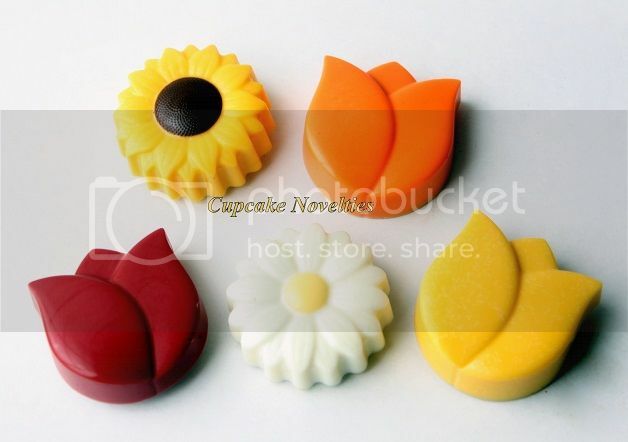 These dainty delights are sure to please even the most discerning dessert gourmand. Our gourmet macarons are made to order, prepared with freshly ground almonds and can be customized with colors and decorations for your party or wedding. French macarons also make elegant gifts. 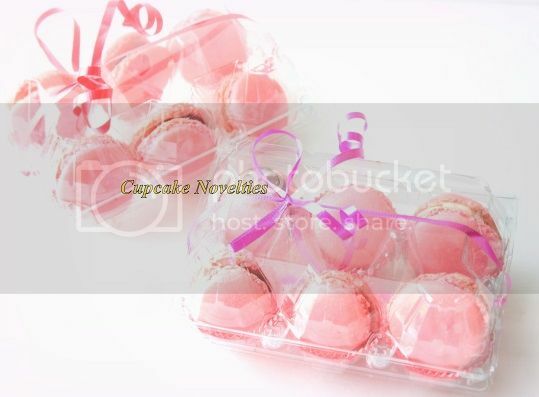 Ask us to package your macarons as wedding favors or party favors. 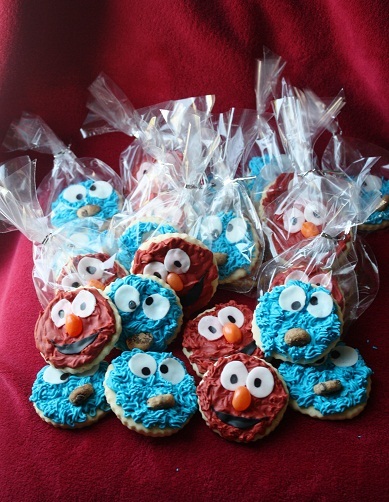 They are sure to be a hit with your guests! Try our Macaron Pops - dainty macarons on lollypop sticks! Macaron Pops are packaged with a cute ribbon and can be customized to complement your party or wedding. 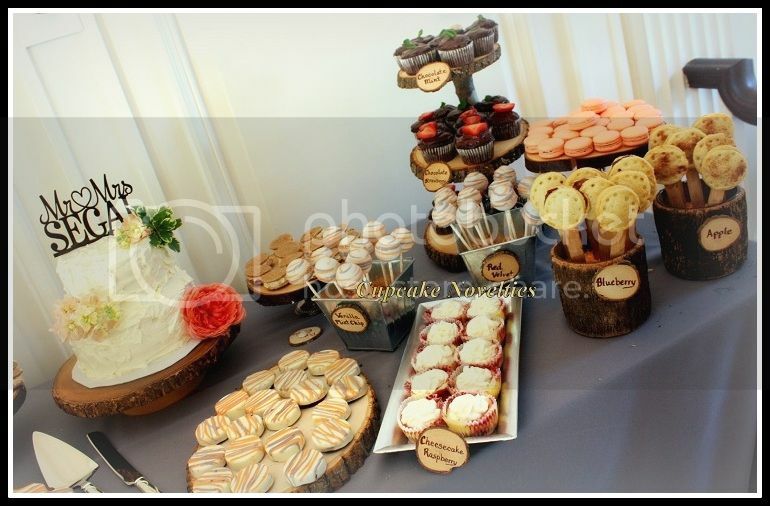 We also make custom macaron towers for weddings, parties and corporate events. Have wedding cake as a base with a pyramid tower of macarons for a unique centerpiece! Macarons cost $27 per dozen (1 dozen minimum order). On popular demand, introducing Cookie Cakes! 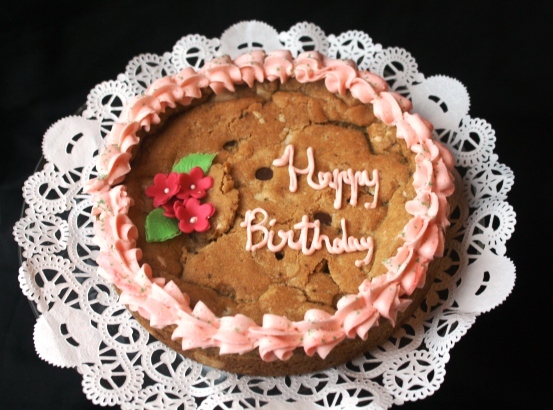 A delicious melt-in-your-mouth cookie cake decorated to celebrate your special occasion! Choose to match any theme or color! Larger sizes available on request! Easter Cookies! Decorated Sugar Cookies in the form of Bunnies, Carrots & Easter Eggs! 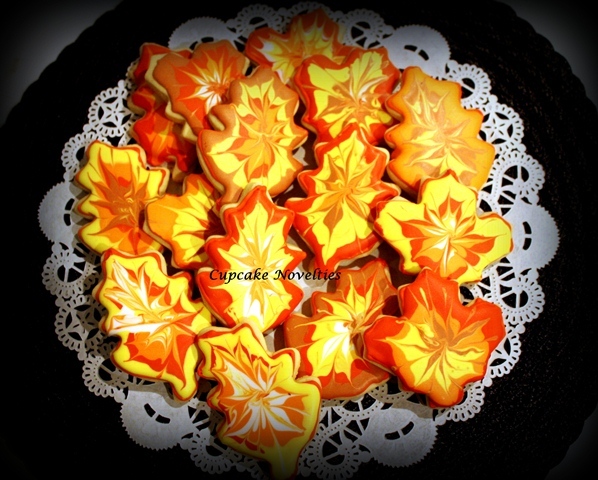 Pretty sugar cookies for Fall/Thanksgiving! Dr. Seuss Cat in the Hat & Green Eggs and Ham sugar cookies! 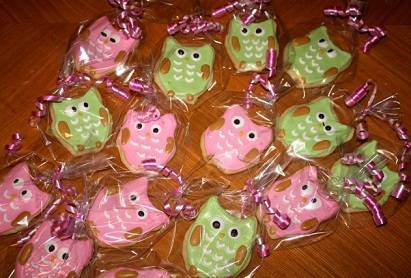 Sugar Cookie Owls in Pink & Green! 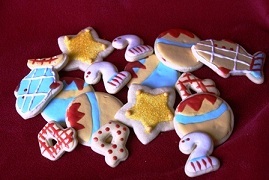 Following several requests, decorated sugar cookies make their debut Easter 2012! 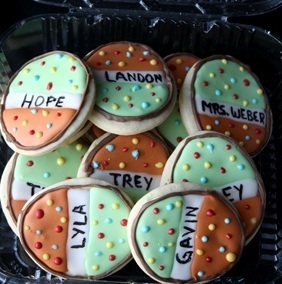 As always, made from scratch and custom-decorated to match any occasion, our sugar cookies can be wrapped to give out as favors or served in platters at parties or any occasion. Look out for more designs coming out for Spring! Contact us for a quote today!